Everyone takes self defense for different reasons. 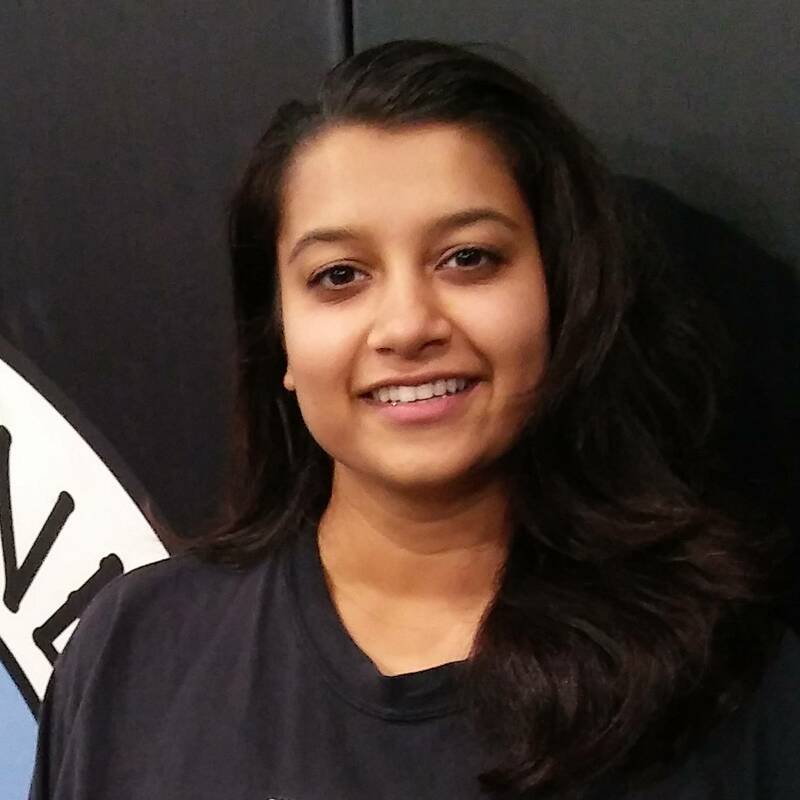 Our West Hartford self defense school employs a system of self defense called Krav Maga. 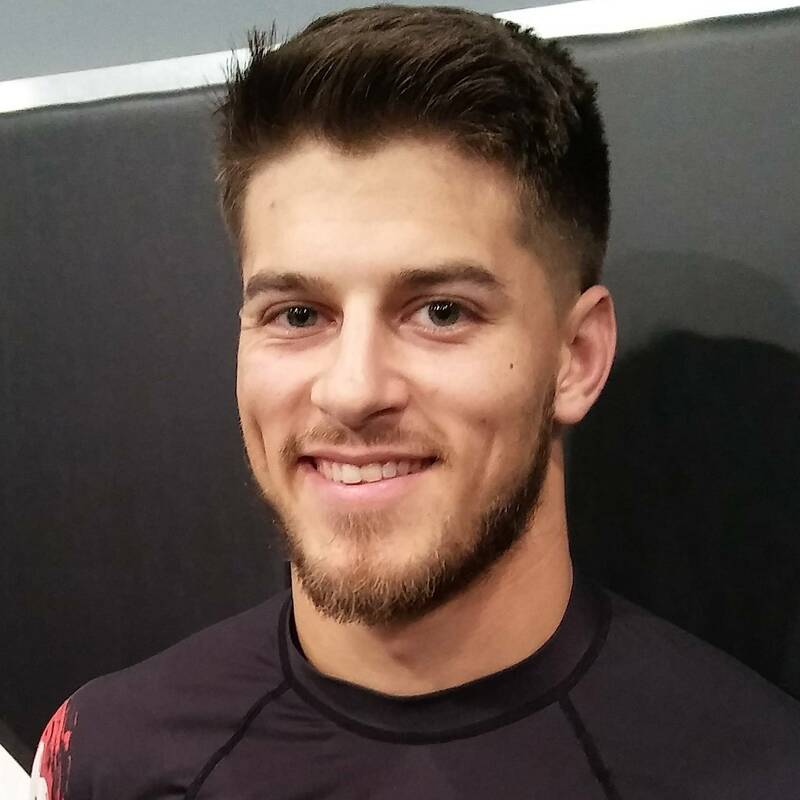 The team of qualified krav maga instructors, and friendly, reliable support staff are here to help you achieve your goals whether it is to gain confidence, learn the martial arts, get fit, or protect yourself and your loved ones in real situations. Krav maga self defense is an Israeli martial art that focuses quite specifically on real-world, scenario-based strategies and tactics. Welcome to Krav Maga Self Defense at Plus One Defense Systems of West Hartford. 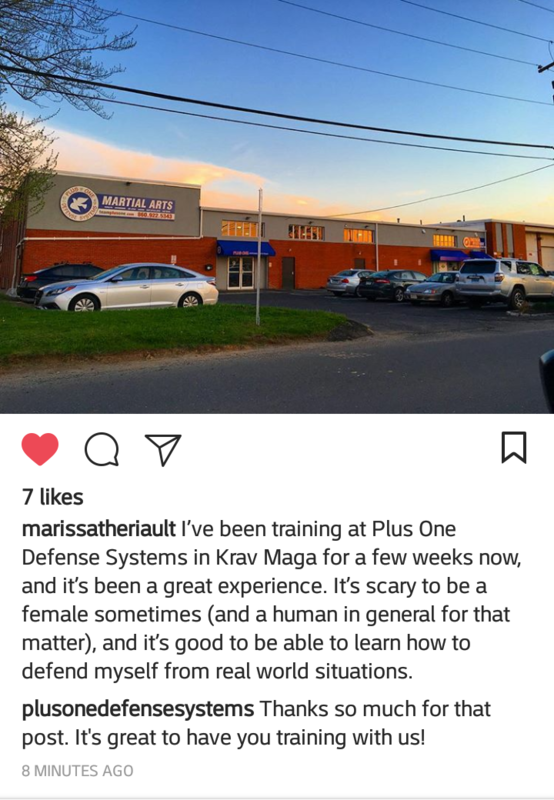 The krav maga classes at Plus One Defense Systems have been the best way for me to get a great workout while learning some awesome practical skills for the real world. The instructors and students are all really supportive, and we help each other out whenever we can- with tips, sparring, and even some real world experiences. If you want some fun on a weeknight, Krav is the place to be! Krav Maga Self Defense classes are held all throughout the week, morning and night. Extra challenge: try Aikido on Fridays! Krav Maga at Plus one is perfect for anyone of any skill level or background. Whether your intention is to get a great workout, learn to defend yourself, or learn a fun new skill, this is a great class for anyone! 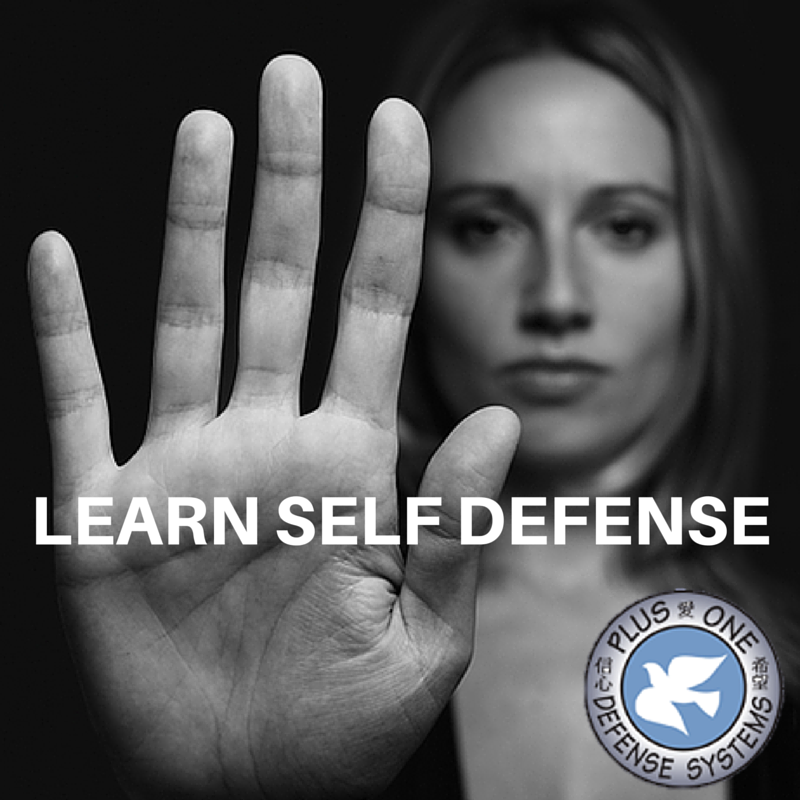 Self defense is about getting out of a bad situation safely and quickly. Our Krav Maga self defense classes specifically deal with real situations using proven techniques while providing an awesome workout. All while whipping your body into AMAZING shape! WHAT IS A SELF DEFENSE CLASS LIKE? Our classes are comprised of stretching, physical workout (running, jumping, lifting, hitting the bags), and of course the technique demos and practice. We don’t just show you a move and leave it to you – we get down to the science and mentality behind the maneuvers so you are growing physically and mentally. Some classes will be more art form and some will be scenario-based, including disarming an assailant and dealing with multiple attackers. Krav Maga is an art derived from several other martial art styles, so some of the kicks, punches, and defenses will look familiar if you have taken other styles in the past! Unfortunate as it is to say, today it is imperative that a woman can defend herself from physical assualt. We have many female self defense students at our school who are taking and absolutely love our Krav Maga self defense classes in West Hartford! It gives you an intense cardio workout and helps to burn fat while you learn real techniques for defending yourself and loved ones. We pride ourselves on our amazing crew of world-class instructors and amazing students. 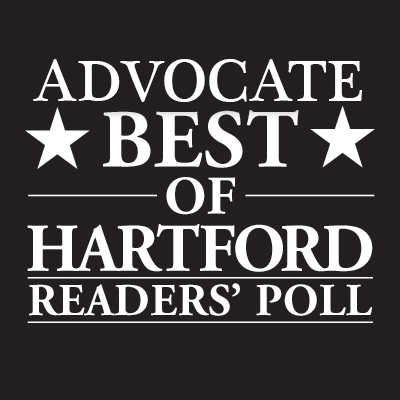 Plus One Defense Systems in West Hartford fosters a spirit of camaraderie and sportsmanship in self defense and the diverse array of martials arts we teach. We value learning, positive attitude, hard work, and most of all having fun while you learn self defense. We’ll see you in class soon! We are proud of our Krav Maga Self Defense classes and world-class self defense instructors. We are confident that you will enjoy the class and find a new team of Krav enthusiasts at Plus One Defense Systems, so the first class is ON US. No catch, no obligation. Just pure self defense that works. Train at a top rated self defense school in CT. Our 10,000 sq. ft. dojo in West Hartford CT has everything you need for your self defense class and more. We have a full gym, regulation cage for MMA and self defense training, sport shop, and locker room to keep your stuff safe. Our training facility is clean and most importantly, safe!